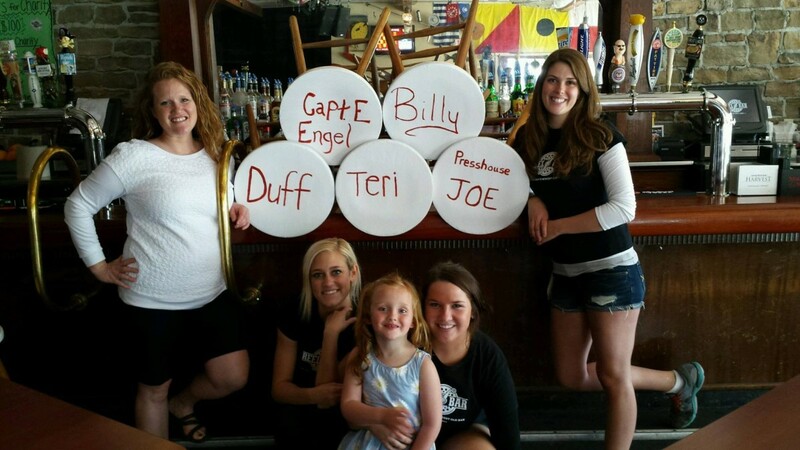 Patrons may have noticed last year that all of their bar stools had names painted on them. The names belonged to islanders, regulars, tourists and even a few unknown folks. Reel Bar allowed anyone who donated $100 to one of three island charities to have their name painted on a bar stool for the season. In doing so, they raised a combined $3,000 for the Put-in-Bay Fire Department, the Lake Erie Islands Historical Society and the Put-in-Bay Youth Swim Sail Program. The barstools have received a fresh coat of white paint and are ready for new names in return for a charitable donation for the 2015 season. Donations may be made beginning Friday while stools last. Call the Reel Bar for details.